Whether your organization’s most valuable client is coming to the office for a meeting or you’re gearing up for the next holiday party, it’s imperative to hire the right corporate catering service. Keep reading to know the mistakes to avoid during this process. Making your guests leave hungry – What’s the worst thing that could happen during this lunch meeting? Well, hungry guests would probably be near the top of the list. That’s why it’s critical to hire a caterer who is organized. They must take into account the number of guests, the duration of the event, and the type of food, among other factors. It seems like a lot to consider, right? The best event catering businesses will be able to take the aforementioned information and create a delicious, yet filling menu. Being insensitive to your guests – It might seem like the easiest route is to get sandwiches for everyone and call it a day. Planning a surprise Friday lunch to celebrate the company reaching a major milestone? Just order a few pizzas and be done, right? Not exactly. The last thing you want to do is to single out employees or guests with dietary restrictions. Make it a point to have tasty eats for everyone. Of course, this means knowing ahead of time which folks might be gluten-free and which are vegan. Again, an experienced caterer will use this information to get plenty of ideas that will be on target for your group. Serving the food late – This ties back to the first point. Let’s say that management is trying to close a huge deal with someone. The first few hours of the meeting went smoothly and progress has been made. Before wrapping up the fine print of the deal in the afternoon, it’s time to break for lunch. There’s only one problem: the caterer is nowhere to be found. In a domino effect, you’re forced to order something quick that the guests may not even like. Our advice? Make sure you have an agenda for the meeting and relay the timing of your lunch to your caterer. Failing to visualize the event – It goes without saying that you want to hire a caterer who prepares delicious food. However, there’s more to a catering service than their food. For example, can they arrange the dining space in a way that’s visually appealing? Part of what separates a good caterer from a great one is their presentation. 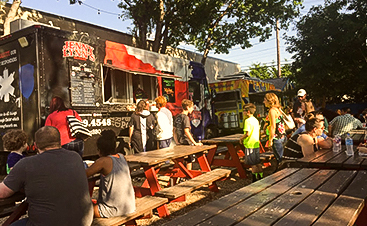 Choosing a random catering service – Not every catering business in the Dallas/Fort Worth is the same. With that in mind, it’s probably not a good idea to type ‘lunch catering near me’ into your search engine and call the company at the top of the list. What should you do instead then? Frankly, take some time to research a list of possibilities and narrow the options down from there. 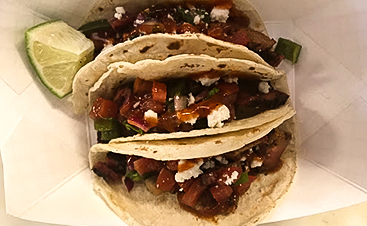 Why not change things up for your company’s next corporate lunch? 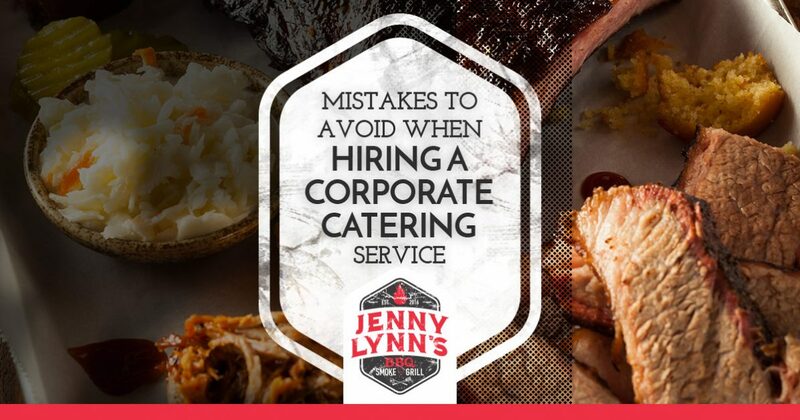 Jenny Lynn’s BBQ & Catering not only provides mouth-watering BBQ food, but also an experienced event staff that handles setup and breakdown. Allow us to customize a menu to fit your budget. 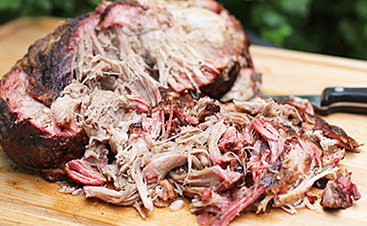 Contact Jenny Lynn’s BBQ & Catering today.